For fun my wife recently set a game camera up at the lakeshore where this time last year we'd seen (but unfortunately didn't get a picture of) a fisher climb up off the ice of the still-frozen lake into our yard. Spring is definitely beginning here in the Adirondacks and the chipmunks have come out to enjoy it, so we weren't surprised to see that the camera captured an image of one, albeit a poorly timed and offset image of it disappearing down a hole into the bank. (That's game camera photography, I guess... ) We were surprised, though, to see in a subsequent image that a mink was apparently hunting the chipmunk! 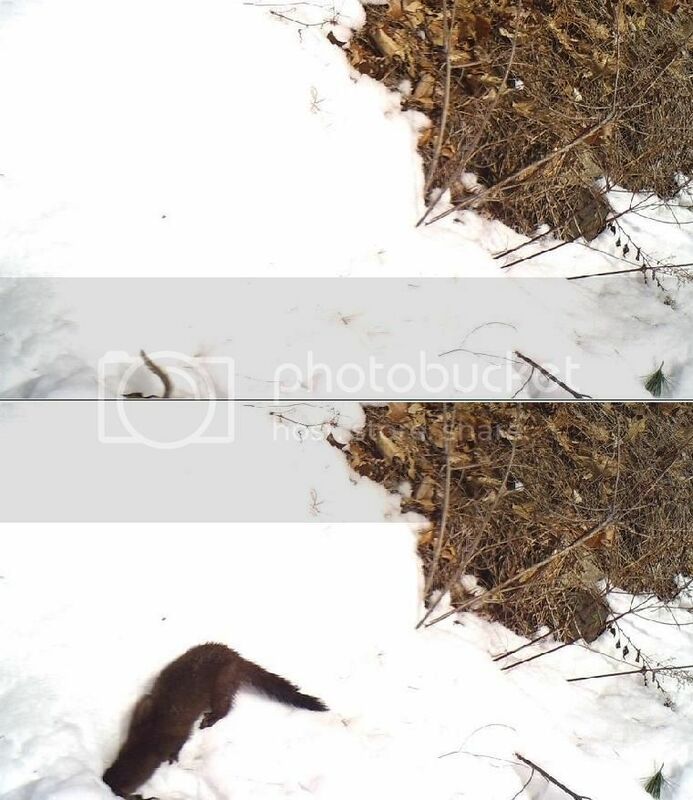 We knew mink were around - last spring a next-door neighbor complained to us that a pair of them had decided to nest in her kayak where she'd stored it in her yard - but we hadn't yet seen one at our place, so that's another species for the yard list. Another neighbor told us he's recently seen a pair of otters at lakeside at his place, very nearby. Fingers crossed that they make their way to our yard, too!